Specializing in Modern, Luxury Interior Design! No matter what the situation- Your Best is Yet to Come! We are a full-service design Firm located in the Dallas Fort Worth Metroplex. We can help you with any project big or small, from remodeling to all your interior design needs. We can do it all. M Whitehurst Designs is a full-service interior design firm located in Dallas, Texas serving the DFW Metroplex and surrounding areas. Mary Whitehurst offers a complete array of interior design services, including commercial, residential, light health care, hospitality and more. When needed, she can enlist the services of reputable builders, furniture makers and artisans who can assist in the completion of your interior design project. Mary’s unique strengths include a good eye for color, seeing three dimensionally, and strong aesthetical sense. She is a pleaser who works hard and listens intently. Therefore, where her clients are concerned, she works hard to give them what they want while providing guidance and direction necessary to achieve their goals. Whether it's updating one room in your home or giving your entire home a fresh new look, J. Marie Interiors takes pride in transforming a space into something spectacular. We are a well-rounded full service interior design company with a strong influence in both the residential and commercial design industries. We specialize in the creative planning and design of interior spaces, but we are a firm bursting with widespread talents and have gained a national reputation for our exceptional Christmas design brand. Located in Dallas/Ft. Worth, our ultimate goal is to make the design process an enjoyable one for our client while delivering superior value, outstanding quality and an exacting attention to detail. At Baker Design Group, our motto is "We change the way you live and work!" From simple makeovers to complete renovations of large and small spaces, skilled Interior Designers at Baker Design Group can cover your Interior Decorating Service and Design needs quickly and affordably. Changing and upgrading your home or receiving corporate space design services can have a dramatic impact on your environment and state of mind! We have spent years developing relationships with the top resources in the industry, ensuring our professionals have the ability to deliver cost effective solutions for your home, office or retail space. This extensive time in the industry has afforded clients of our design team with a deep reservoir of selection and excellent pricing. For more than 23 years, Linda has applied sensible, functional, and innovative methods to her designs, resulting in interior spaces that can withstand the test of time. 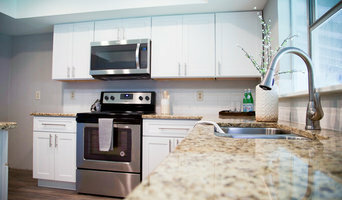 If you’re interested in improving your space with a high level of service, call (972) 805-1574 or visit www.Baker-DesignGroup.com to schedule an in-home consultation today. We would be delighted to hear from you! From tasteful furnishings, to timeless custom draperies, to breathtaking accessories, they work to make sure every detail is nothing short of inspired. J. Marie Interiors was formed in 2017, but Jessica (Owner/Principal Designer) has been involved in the transformation of spaces across North Texas for the past 4 years. Jessica worked most of her career as a Lighting Project Manager for a commercial and high end residential lighting distributor in San Diego, CA. After moving to Texas, Jessica worked for a high end custom door and lighting manufacturer. She started a real estate investing company remodeling distressed homes and staging them to get ready to sell. Shortly there after J. Marie Interiors was created. Since 2017, J. Marie Interiors has helped homeowners, builders, Investors, and Realtors solve their design dilemmas. Our mission and our passion is creating beautiful spaces that are functional and in budget. Whether it's updating one room in your home or giving your entire home a fresh new look, J. Marie Interiors takes pride in transforming a space into something spectacular. Your vision is our passion! Edict specializes in modern and contemporary residential projects. Based in the Dallas Area, our practice creates original designs that address the unique needs and budget of each client. 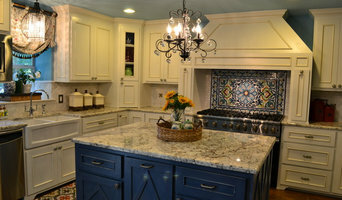 Edict is a fine home building, remodeling, and interior design company that provides a completely turn-key experience. We integrate home design, interiors, and construction to create incredible homes with timeless livability. Edict believes that livability and beauty is essential to every design endeavor. Melinda Miles has over twenty years combined experience in interior design, real estate, homebuilding, and property staging. Today’s homebuyers expect a move-in-ready home with updated finishes. Most home sellers are not prepared to get their homes into this condition without help. Melinda brings her interior design experience to her real estate clients, providing them a one-stop shop experience. She uses her interior design experience and her knowledge of the real estate market to see the potential in properties and knows the best way to maximize a home’s value in the market. She takes the time to get to know her clients and to understand their personal vision for marketing their existing home or finding their new dream home. Melinda is an expert in SRES, Seniors Real Estate, working with the 50+ market ranging from baby-boomers to elders and their special real estate needs, concentrating on quality of life, independent living, and safety. Whether you are buying, selling, building, investing, downsizing, or relocating—Melinda’s approach is to know your market, understand your needs, and work diligently to ensure a great experience for you. Best of Houzz award winner in customer satisfaction for 2014, 2015 and 2016 owner, Dot Greenlee, prides herself on the the core values she grew up with in the small town of Mabank, TX. Her honesty, integrity and down-to-earth approach is what formed the foundation to her success. With a diverse career spanning 28 years, Dot has worked for major corporations, which has given her the experience in strategic account planning, project management and fostering strong customer relationships. 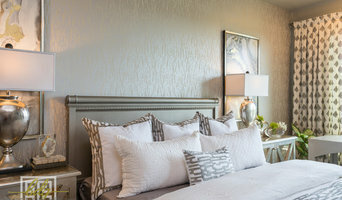 With over 15 years experience in interior design all over the U.S. and Cabo San Lucas, Mexico, Dot's reputation for designing distinctive and highly personalized spaces has made her a highly sought after professional interior designer. By listening to her clients needs, her designs evokes their lifestyle and sophistication, yet is functional, comfortable and livable. Contact Dorothy Greenlee to schedule your design consultation. Featured internationally multiple times for our unique and fearless creativity. We specialize in urban modern style that lends itself to clean lines but still warm and inviting. Never fussy or over formal but livable spaces that make you want to kick up your feet and stay for a while. Breaking out of the mundane and expected to create an inspiring pulled together look that reflects the best of who you are. It is our mission to deliver a standard of excellence and talent that defies status quo. This is the beating heart of who we are and what we do. Changing lives through the most important place on earth, your home. The work of a professional can make all the difference. Whether your home has 10 bedrooms, or your apartment is 800 square feet, it can be tricky to create a cohesive look that is representative of your style. That's where a local Garland interior designer comes in. A home decorator will help distill your tastes and ideas into a design that suits the needs of your space. Whether you need help creating a functional space plan, rearranging existing pieces, designing the inside of a new home, or simply sourcing amazing furniture and decor, seeking the help of professional interior designers and decorators in Garland, TX is a must. A good home design professional will hone your style down to its very essence and be able to choose a functional layout that feels natural to you. Interior design companies can be involved as much or as little as the client desires. 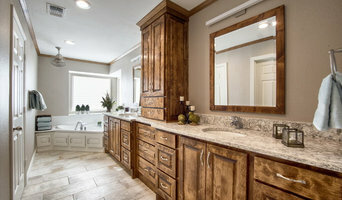 Many clients who hire an interior decorator in Garland, TX — particularly those who are remodeling — have a good sense of how the room should look and what products they should use. Often clients will insist that interior decorators use the products already present in the house. Other times a designer will need to start from scratch — especially if this is a newly purchased or just-built home. An interior design company will need to figure out exactly what the client needs, which includes organizing rooms, picking flooring and wall colors, and finding furniture to complement it all. Sometimes that means he or she will have to recruit help from other Garland, TX home professionals to help create the perfect look for your renovation. Here are some related professionals and vendors to complement the work of interior designers & decorators: Architects & Building Designers, General Contractors, Home Builders, Design-Build Firms, Photographers. Do your research before meeting with an interior designer or home decorator in Garland, TX. Ask yourself what you want your space to become and what it will be used for. Figure out the extent of what you need help with, what your must-haves are and what your budget is. Interior design services can add up fast, so be up front with a potential design firm or individual from the beginning. Also, pick an interior decorator that fits your style. Browse through the portfolios of different Garland interior design firms and decide if you would live in those houses. Just because you like something doesn’t mean you could live in it. There's a big difference! Find an interior designer or home decorator in Garland, TX on Houzz. Narrow your search in the Professionals section to find Garland interior designers near you. 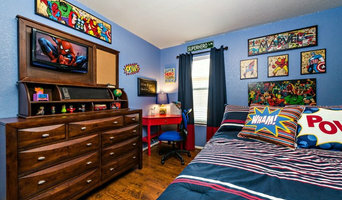 You can also look through Garland, TX photos to find a room you like, then contact the design firm who designed it.